An insurance write-off is usually best avoided, but do your homework and there are bargains to be had, because some vehicles classed as category S (structural) and category N (non-structural) have little wrong with them that can't be rectified. Being classed as a repairable insurance write-off occurs when the cost of repair is deemed to be uneconomical, and that figure may be as low as 50% of the car's value. On older cars of low value, that means that minor damage can cause a total loss - even though it could be running perfectly and that the damage to it is minimal. A category S vehicle usually has structural damage (where the car's frame or underpinnings are damaged). 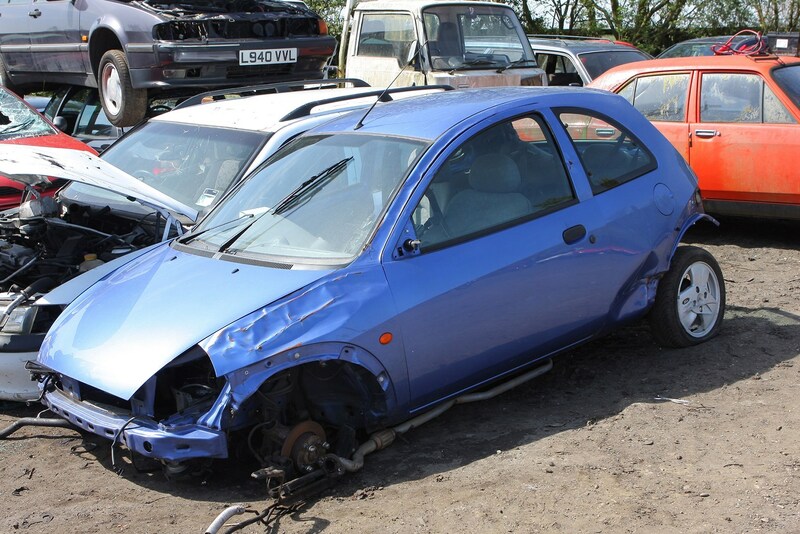 Category N has no structural damage, with just bodywork requiring attention. Both can be repaired, but category N will present fewer potential headaches. Previously these were described as categories C or category D respectively; the new system makes it easier to associate the category with the level of damage. Should I buy a written-off car to repair? Buying and repairing a write-off - also referred to in the insurance trade as a total loss - can be a savvy option if you are planning to keep car until the end of its life. Many perfectly serviceable cars are written off for items such as damage to headlights, bumpers or bolt-on panels which have a high cost as new retail parts from a preferred repairer. Those same parts can be bought secondhand for popular models, and if you have the skill and time - or an affordable mechanic - you can save thousands over the retail value of an undamaged car. However, sourcing your repairable car will require some patience. Easily overlooked items like damaged glass or rubber seals can increase the cost of repair significantly. It may also be apparent that structural items that pass a visual inspection aren't correctly aligned, causing issues with fit or even the car's handling. If you want to take this route, it is important to be as familiar as possible with your chosen car in an undamaged condition. As a rule, the older the car you're looking for, the less severe the damage needed to write it off; the perfect find is a cared-for older car with low miles and minor cosmetic repairs needed. For newer or high performance cars, vandalism may be preferable to accident damage, as the structure of the car is unlikely to have been subject to stress. Regardless of the car you've chosen, if are thinking of selling it on, forget it: you are unlikely to get much for it. Most potential buyers will be wary if they are uncertain of the full extent of accident damage and although you can get insurance for write-offs, it is difficult to find cover without paying a higher premium. Indeed, vehicle remarketing experts CAP said it cannot give values for category S or N vehicles: 'There is a lasting impact on these vehicles. We wouldn't be able to give a value; no figure can be put on a cat S or N. The vehicle could have zero value for one person but could be worth £1,000 to another. Given the impact on residual values, the increased effort of finding a buyer - simply buying a good example well will be the cheaper option in the long run. Repaired cars - are they worth the hassle? When looking for the best prices on secondhand cars, however, the category S or N write-off shouldn't be completely ignored. If the car is structurally sound and replacement parts have been fitted well, then a Cat N car could be just as good as an undamaged model with significant savings, and a cat S write-off can be repaired safely with the right specialist knowledge and facilities. 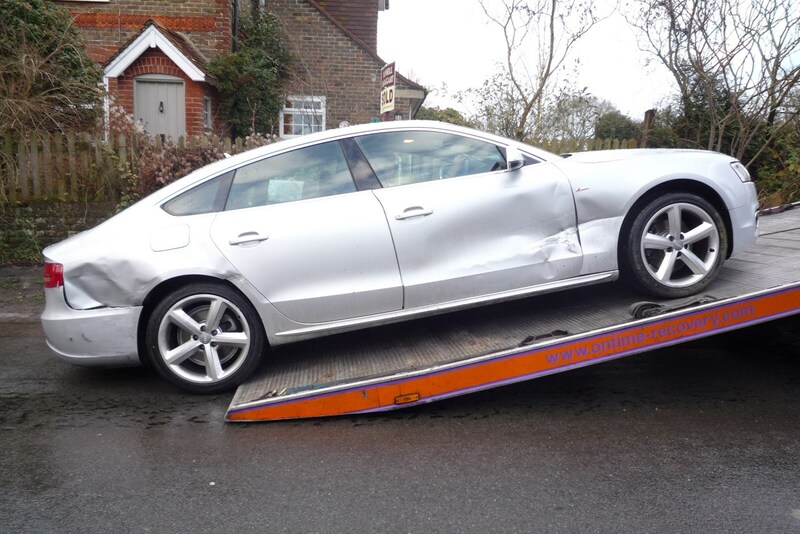 Motoring organisation AA, says the write-off should not be written off. Always get a history check when buying a car, particularly if the deal looks too good to be true. Although a repaired car may be good value it is only worth buying if you know the history - an undisclosed write-off will cause you problems in the future. Cat S write-off cars - should you invest? A category S - previously, category C - vehicle will have had structural damage that has subsequently been repaired, including the potential for airbag deployment. Modern car bodyshells are designed to disperse accident forces throughout the shell to protect the occupants, and an improper repair could compromise both the safety and the longevity of the model you're looking at. Extensive interior and electrical work is involved in repairing the damage from airbag deployment as well, meaning squeaks, rattles and trim damage are highly likely. A repaired category S vehicle means rock-bottom prices, and if you carry out all the necessary checks it could be worth investigating. If you are confident that whatever has been damaged has not affected the safety of the car you might have a real bargain on your hands. Still want to buy an insurance write-off? If you are thinking of buying a write-off then make sure to follow this easy step-by-step guide as it could save you a lot of time, money and heartache. There is no official unrecorded category: it usually means the owner of the damaged vehicle only had third party cover, can't make a claim and can't afford to carry out the necessary repairs. They probably haven't told the insurers and haven't informed DVLA, so it doesn't appear on Vehicle History Checks. They can be repaired quite cheaply if the damage is superficial, but we would recommend a full inspection before buying an unrecorded damaged car - and documenting your repairs thoroughly if you want to sell a car you have repaired.